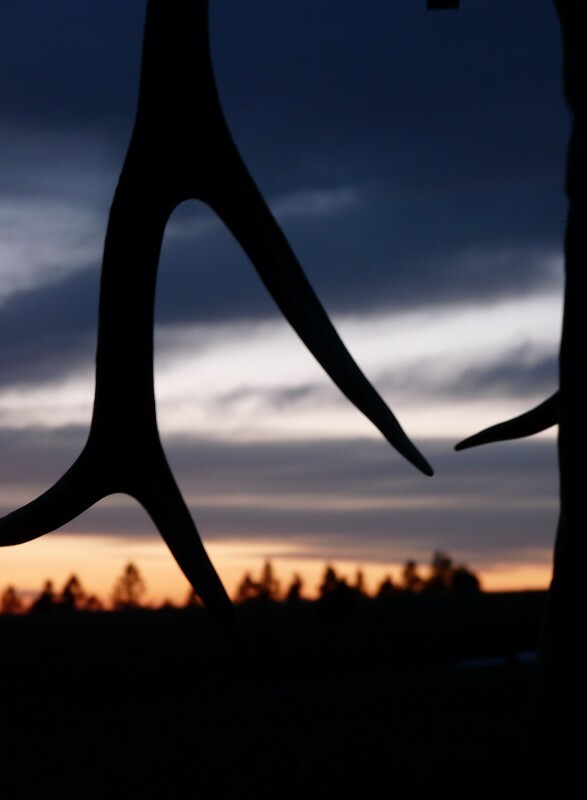 As March came to a close, one of my favorite past times came into full swing – shed hunting! This was the year of the deer antler. Between my dad and I, we found fifteen deer sheds and two elk sheds. Come April 10th, shed hunting turned into turkey hunting. 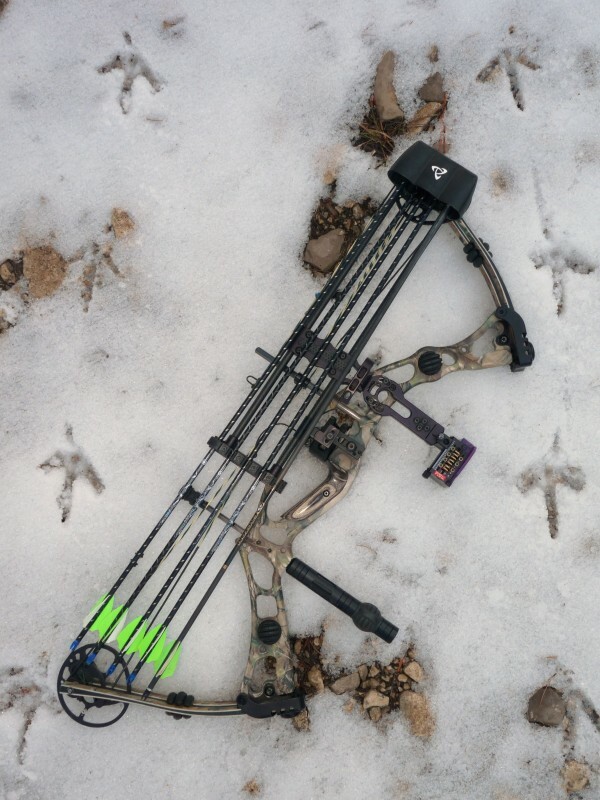 Archery hunting for spring gobblers proved to be just as difficult as last year. I inadvertently found myself in bow range of far more elk than gobblers. After four weeks of turkey hunting, winter came back with vengeance! 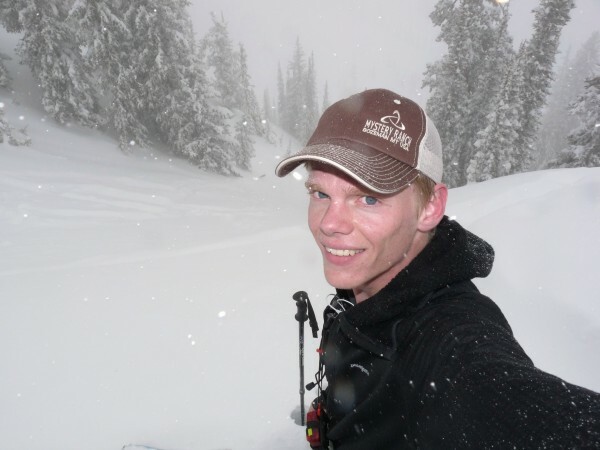 The mountains around Bozeman got nearly fifty inches of snow in three days. I quickly steered some of my study time for college finals to the mountains. You can ask anyone who skied that storm and they’ll agree that it was the best snow of the year. As for finals – I passed. Spring Black Bear hunting was next on the list. As a relatively novice bear hunter, the only sightings I’ve ever had were flukes. 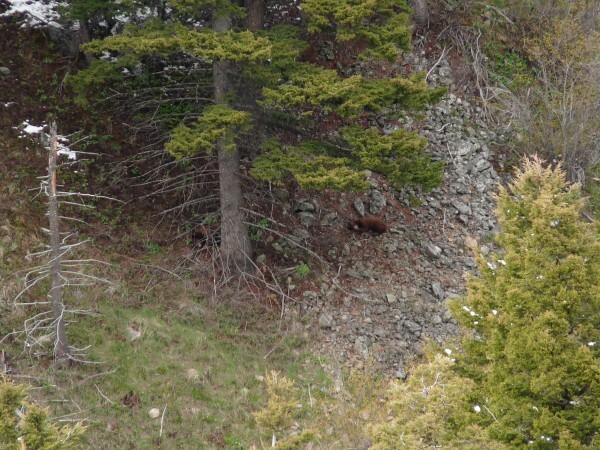 This spring, with the help of a friend, I turned my occasional bear sightings into multiples. 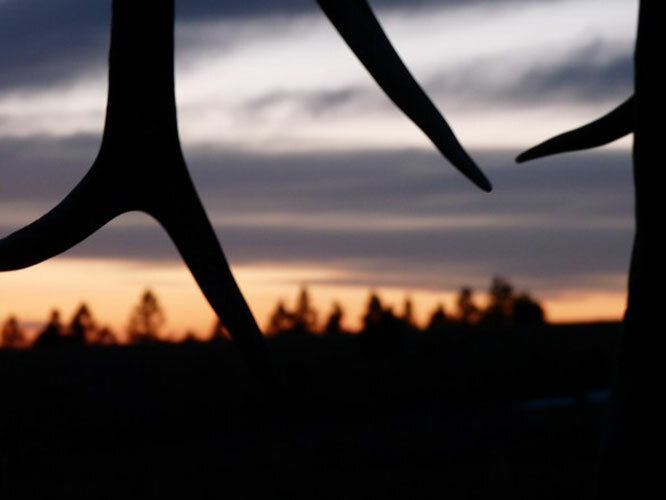 Every day for about two weeks, I left work right at five o’clock to archery hunt a nearby mountain range with Phillip Larson from Black Gold Bowsights. 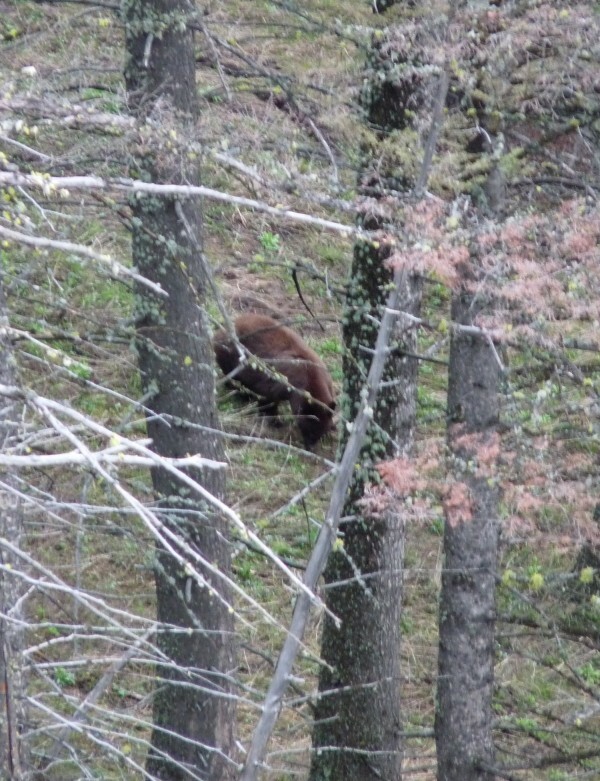 We saw a handful of bears and after a few nights had a beautiful blond boar pegged. 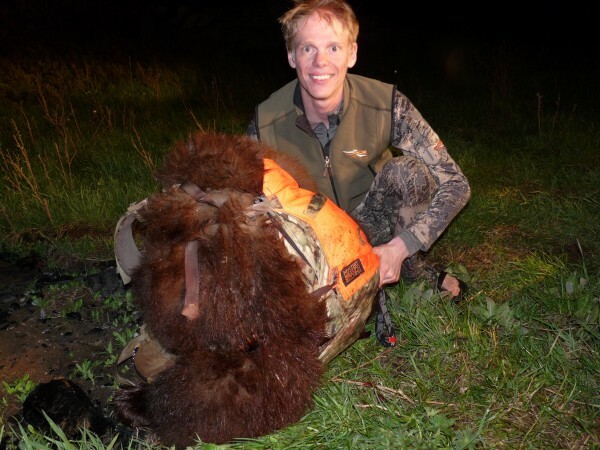 We put a great stalk on him the next night, but had an ATV spook the bear from the hillside. Days later, I took my grandpa’s rifle out on a solo hunt. I immediately spotted a bear through the spotting scope on a hill side a mile away. Ten minutes of watching the bear had me convinced that it was in no hurry to leave the area. I packed up my gear and began closing the gap. One mile through the scope equaled at least two on the ground. Forty minutes later I was perched on top of a big cliff upwind of where I had last seen the bear. I glassed for thirty minutes with no luck. About when my impatience was going to get the best of me, I looked straight down to the base of the cliff and there was the bear! I got my gun set up and then grabbed the camera. I had to put my camera on a tripod to take photos; I was so excited I couldn’t take a clear picture! I watched the bear for twenty minutes to try and determine its size, but more importantly, make sure it had no cubs. 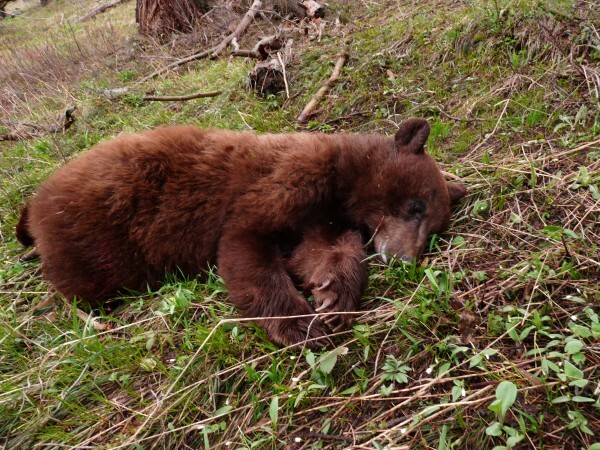 After an anxious, but necessary, wait I steadied my rifle, took the shot, and harvested my very first black bear – a gorgeous mature chocolate phased female. I was one happy hunter! Few things could compare to the experience. 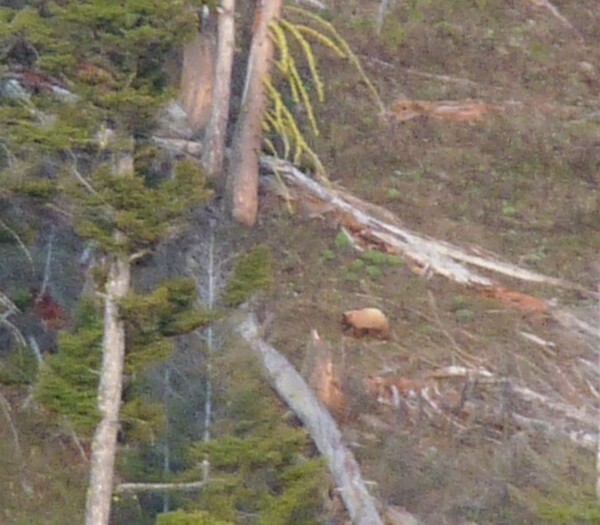 After making sure the bear was down, I made two quick phone calls, one to Phill and one to Mark Seacat. They were pretty excited for me. I was glad to have been able to share the moment even if it was via phone. Putting my hands on a creature I have only seen a dozen or so times was as strange as it was exciting. I pondered at the scene for a longtime. As with any and every hunt, the work was just beginning. I removed the internal organs and then partially skinned the bear to allow the meat to cool. Next step was loading my Crewcab. 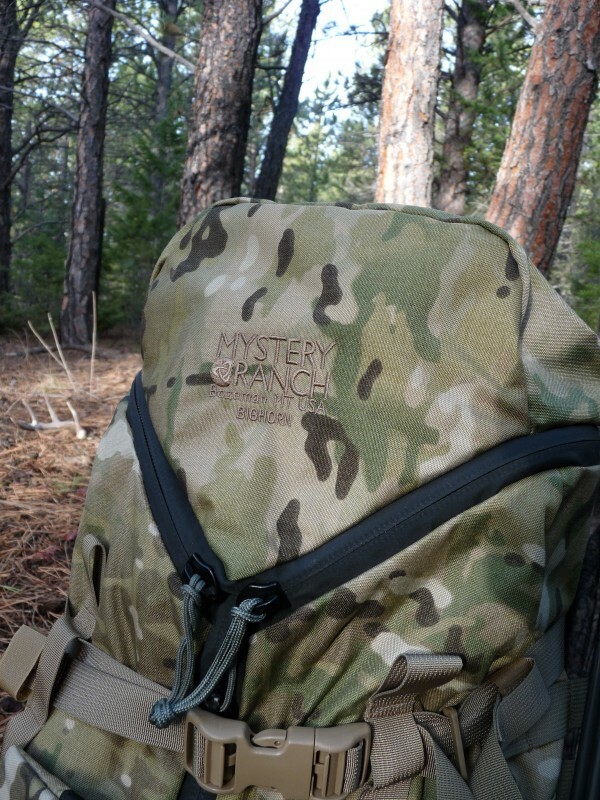 With the entire bear in the pack, I cranked my waistbelt as tight as I could get it, rolled onto my stomach and then stood up. Thirty minutes later I had made it just 200 yards. It was 10 p.m., there was no moon, and I was battling a steep ravine with a raging creek in the bottom. After falling down, while attempting to climb out of the ravine, I was feeling pretty hopeless. My only option was to wade down the creek. As if someone from above felt my struggle, I cut a jeep trail in minutes. I went from cursing god to thanking god. Three hours later, I made it back to Bozeman. Two days later, I had recouped from the hunt and was back in the mountains exploring new country with Phill, while he pursued bears with his bow. 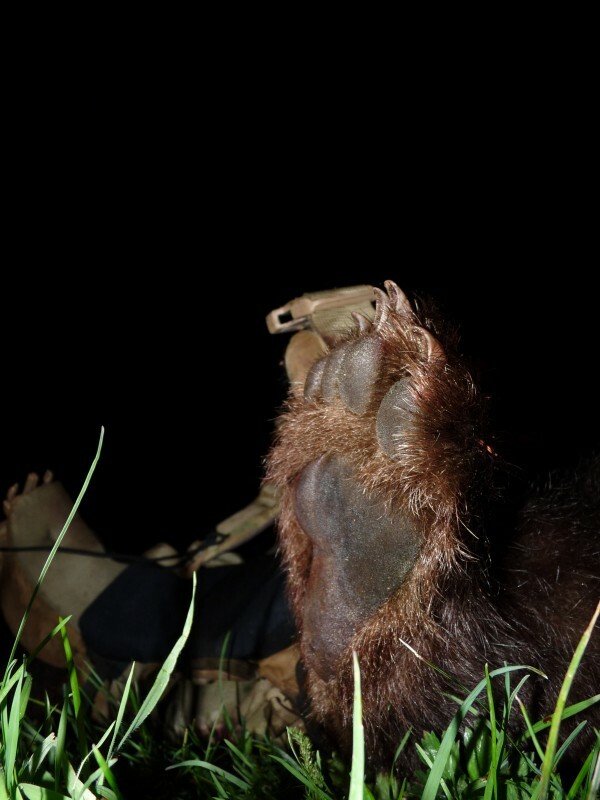 On Memorial Day weekend the stars aligned for Phill, as he took his first archery black bear. What a feat! 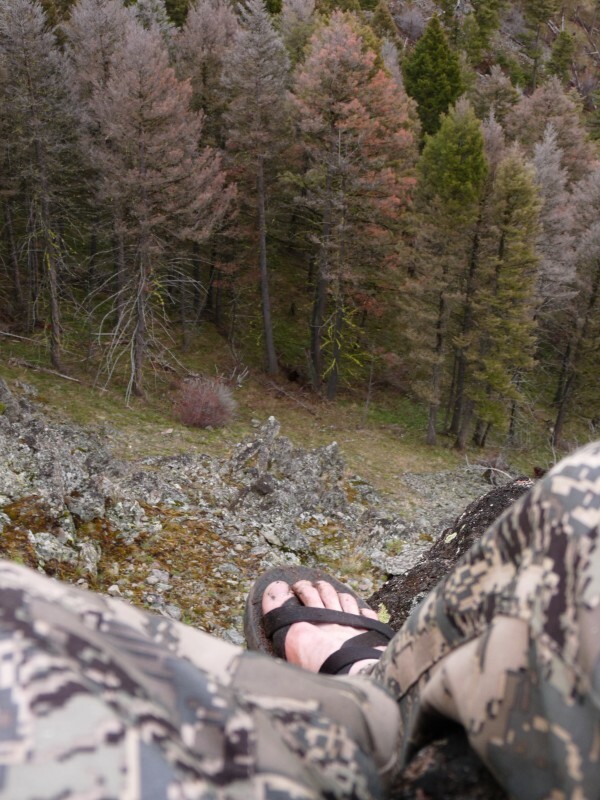 Montana is an outdoorsman’s paradise. I feel pretty lucky to have been raised in such a place. My next few months will revolve around fly fishing and preparing for this falls hunting season. It’s hard to believe that we are just two and a half months out from archery hunting speed goats, and three months from bugling bulls. Oh the anticipation!